The documentary ‘Piet Zwart’ was broadcast on October 16, 2012 by the AVRO TV channel as part of their section Close Up. 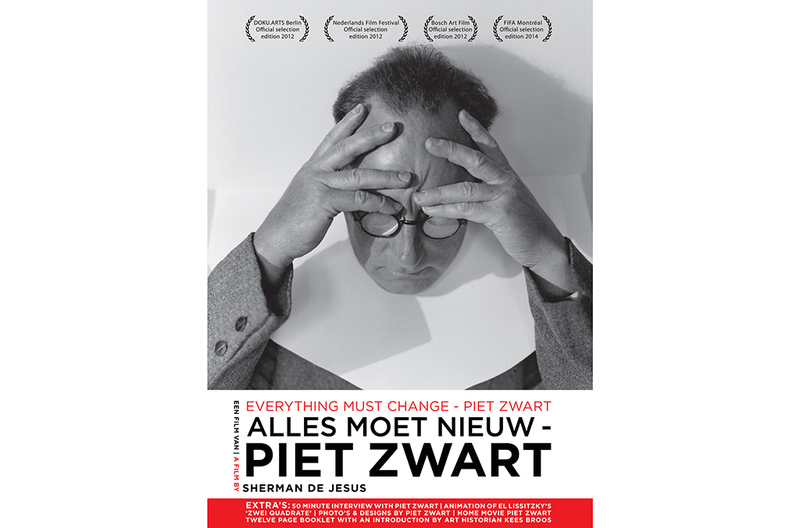 An extended version is available on DVD under the title ‘Alles Moet Nieuw – Piet Zwart’ (Everything Must Change – Piet Zwart). Piet Zwart (1885-1977) was a self-willed and stubborn man whose ambition was to innovate and pave the way for Dutch Design. He worked as an interior architect, industrial designer, commercial typographer, photographer, critic and lecturer, playing a key role in the Dutch design climate in the twentieth century. The luxury special edition DVD contains the main movie, an interview with Piet Zwart (50 minutes), El Lissitzky’s animation ‘Zwei Kwadraten’, a unique 8-mm film by Kees Broos, photos and designs by Zwart and a booklet with background information and photos.